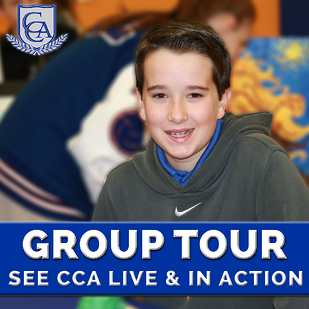 See CCA Live and In Action! Visiting is one of the best ways to know if Covenant Christian Academy is right for your child. Attend our upcoming Group Tour. While touring our campus, you will get a sense of our school culture as you step into a variety of classrooms. You'll observe teachers and students engaging in learning and discovery. Please complete the form to let us know that you'll be attending the Group Tour.